Kennett’s Joe Wilson placed eighth at the Notre Dame Invitational Monday. CAPE GIRARDEAU, Mo. 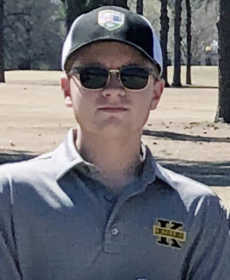 - The Kennett golf team placed third at the Notre Dame Invitational Monday at Dalhousie Golf Club. Kennett (355) finished nine shots behind second-place Dexter (346). Jackson (316) placed first. Kennett’s Joe Wilson (84) also finished in the Top 10. Wilson placed eighth.